A couple of my creative projects, Beers Made By Walking and Art & Beer, are featured in the printed March issue of All About Beer Magazine. 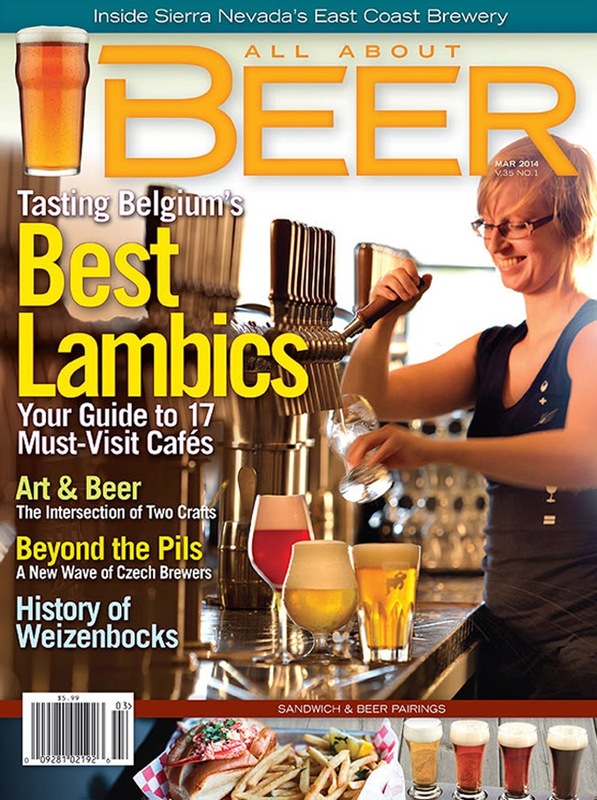 The article, "Creating Masterpieces," was written by Don Tse and looks at ways that the arts and craft beer are coming together in new and exciting ways. ...there has been a remarkable surge recently in breweries discovering that they fit within the tapestry of the various arts. The collegial and supportive brewing community is now simply spreading its support to forms of art beyond the art they already brew. The article talks about the McMenamin's Brewpubs, Gigantic Brewing's bottles and mural project, and a number of art related beer events. My work features a prominent role in the article, as does a friendly photo of myself and an image from one of my Art & Beer events. You can download and read the whole article here.